Aura Wines is a quality winemaking group composed of three wineries with extensive experience located throughout our country in the Limari, Curico and Maule Valleys. Thanks to this geographical diversity, we deliver an innovative and high value proposal through different brands and products obtained from our three wineries: Aura, Finca Patagonia Wines and Ochotierras. This extensive background is precisely what enables us to offer complementarity amongst the most acclaimed wine valleys in Chile and to deliver a wide range of unique and personalized products found in each fertile valley. A passionate winemaking team composed of different professionals and hardworking technicians is a large part of what makes Aura Wines so special. Our team works hard on imprinting the unique seal of each one of our valleys on all our products. This work showcases the best expression of our land, our fruit, and our people. The estate is located 5 kilometers west of Montpellier in Southern France near the Mediterranean. It has been formed in the past generations thanks to the tenacity of its owners and to the loyal attachment of those who worked on the vineyard. Above all it is the faithful devotion to a soil that permitted the preservation of this estate by the same family without interruption since 1580. The vines are spread between the communes of Lavérune and Saint Georges d'Orques on sandstone ground. The cellar is set up at Lavérune in the center of the old village, inside the former outbuildings of the Chateau, and it bears the name "La Ménagerie". The estate farms 38 hectares of vines, of which 2 thirds are AOC Côteaux du Languedoc (Terroir Saint Georges d'Orques and Grés de Montpellier) and 1 third is county wine "Vin de Pays d'Oc". A desire and a plan that took shape in the 90s with the recovery of native varietals necessary to restore historical vineyards that were abandoned in the post-war period, and the expansion of the wine-producing area to be allotted to new vineyards. Slowly, the Martis region became covered in a green and gold mantle, with manifold nuances, scented with the fragrant qualities typical of those regions with such a strong agricultural and winemaking calling. Helped by her husband Walter, who shares this passion with her, and supported by her entrepreneurial spirit, in 2001, Sara completed her project. 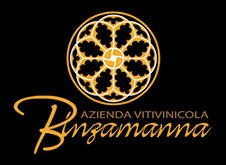 The Company “Binzamanna” was born, with a strongly evocative name, as a testimony to her intense desire to honor these lands, once so rich, and transform Martis into the driving force behind new forms of integrated tourism, with special attention to the promotion and conservation of the land, its history and its environmental balance. The importance of the roots, the uniqueness of the area, the preservation of the natural habitat, the research and quality of the production are fundamental company prerequisites in addition to the promotion and preservation of the landscape and its historical and archaeological heritage. “In short, all that I have is charm, courage, a modicum of intelligence, a sense of humor and of decency. My great treasure is that I am my own master, that I am not dependent upon anyone, and that I am not afraid of misfortunes. My nature tends toward extravagance. Such is the man I am” (Carlo Parodi). The story of Carlo Parodi the founder of Casanova is full of coincidences, cryptic, shadowy and secretive occurrences. He always tends to believe that Man is a free agent, but he is not free, if he does not believe in it, for the more power he attributes to destiny, the more he deprives himself of the power which God granted him when he gave him the reason. "As the inscription in the wine cellar testifies to, wines were already being produced here in 1573. Continuing that tradition, and doing our best to respect the earth and what she produces, is like a mission for me. I am for the best possible quality, and I feel lucky to be able to attempt this here in our region, where the vineyard is already blessed, thanks to its micro-climate. I follow every phase of production, including sales, personally, and I use this opportunity to express my philosophy and the soul and the history of this territory, which are entwined with the vines that are grown here. When I receive a message from someone who has enjoyed my wine at a dinner with family or friends, I feel deep satisfaction for the work I have done. Wine must facilitate joyful moments, and it should also be shared. Livia, the oldest of my three children, has recently begun working with us. This is indeed a wonderful thing as it guarantees continuity in the devotion that has united my own, and my husband’s, work" (Anna Lisa). Russo & Longo was founded at the end of the 1800s, the legacy of a family firm for many generations dedicated to vine cultivation and wine making, and the cultivation of grains and livestock. The founder, Felice Russo, in 1910 emigrated to the United States to the state of West Virginia and later to the state of New York, where he remained for 20 years. Returning to Italy, he bought another piece of land and enlarged his Firm, that at the time was being managed by his children, integrating it with new cultures and innovative methods for the time period. Russo & Longo, the present name of the Firm, is a long ancient story of wise, dignified, and tenacious men who are tied to the land of Petelia, sons of an ancestral passion for the cultivation of vine and olives. Today the Firm, that is currently in its 4th generation, represents the continuity of a project that since the beginning has put at the centre of its initiatives the ensemble of values dedicated to the land and the vineyards. This represents the soul, the integrity, and the great propelling force for the future and the growth of the Firm in the fields of wine and olives. Tenuta Buon Tempo is located in the far southern corner of Montalcino, called Castelnuovo dell’Abate, an area with a unique vocation for winegrowing. The 26 hectare property is composed of vines, olive trees and woods and slopes down to the Orcia river on the border that marks the end of the appellation. In the early 1990’s, 12 hectares were chosen from the best area for planting vines and farmed organically since the beginning of the project, the conversion is certified from 2018 after a few years of testing and seeing a consistent improvement in the quality of the fruit and the environment of our soils and air. These ambitious goals of proprietor Per Landin are applied with a combination of hard work in the vineyard, investing heavily in the cellar and thanks to the collaboration of a dedicated team guided by Alberto Machetti with the help expert consultants Attilio Pagli and Stefano Bartolomei. All of this to exalt and express the full range of wines and the great potential that this terroir and the panorama of Montalcino offers. Villa Le Prata is a very small estate run by the family members who work with passion to obtain exclusively fine wines. It was built in 1860 by count de’ Vecchi as hunting lodge; afterwards, it became the country home of the bishop of Montalcino. Massimo Losappio, chief surgeon of Montalcino hospital and his wife Marialuce, a philosophy teacher, purchased the Villa in 1980 and, driven by the passion for wine and the pleasure to share with their friends the fruits of this generous land, planted the first hectare of vineyard near the Villa. Later on, with the absolute desire to enclose in a single bottle the most authentic atmosphere of the Montalcino land, two other vineyards were planted in the area of Castelnuovo dell’Abate and acquired the fourth vineyard near the Villa. These vineyards, in three different zones, are the perfect combination of the elegance, the perfumes conveyed by altitude, and the body and structure of the land south of Montalcino.